Energy Outreach Colorado | Poudre Valley REA, Inc. Your neighbors need a HEAT HERO. 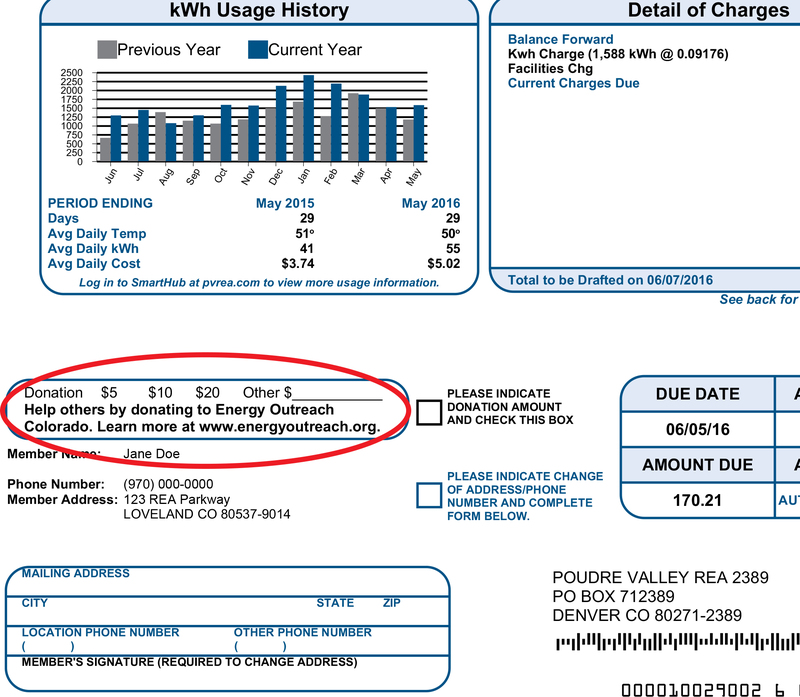 Poudre Valley REA members can help other members in need by donating to the Energy Outreach Colorado program straight from your electric bill. All donations are given, 100%, to the Energy Outreach program which provides funds to the Low-income Energy Assistance Program (LEAP) in Larimer, Weld and Boulder Counties. This program helps those in need to pay their home heating bills during the winter months. As little as $1, $5, $10 or more a month can help keep a family warm. It's easy, simply indicate the amount you wish to donate at the bottom of your electric bill, or sign up online right now. You can also make a one time donation here. Are you looking for payment assistance through Energy Outreach Colorado? Visit our Payment Assistance page.